Skyterpiece (is-kayt-er-pis) - is the combination of the two words sky and masterpiece which means "masterpiece on the sky". Created by stevehan in May 27, 2010 for his blog post. I am not so sure about the date but i think this was seen last May 15, 2010. My uncle called me and told "hey, steve look at the sky outside...". I was like hurrying for me to see what's out. I was amazed by this beautiful yet for me, weird scenery on the sky. I got my cellphone then started texting my networks and got their replies of amazement. 1. According to my mom: A partner was being eloped by his partner or a couple are eloping at that moment. This scenery was actually seen by my mom when she was young and the elope story was told by my grandma. 2. According to my classmate: Girls are easy to tame at that time. He said that maybe it's the best time for boys to ask a yes from a girl or for couples to make love. How about you, Have you also seen this spectacular-romantic scene on the sky? Comarts 3 subject: for the backround of "Dictionary part of this post". I thought it was a sign that the world was ending. Hahaha! Weird. I have a unique time on the night that astronomical peculiarity occured. We are going home from Lucban and we are riding on the top of the jeepney from Lucban to Pagsanjan. 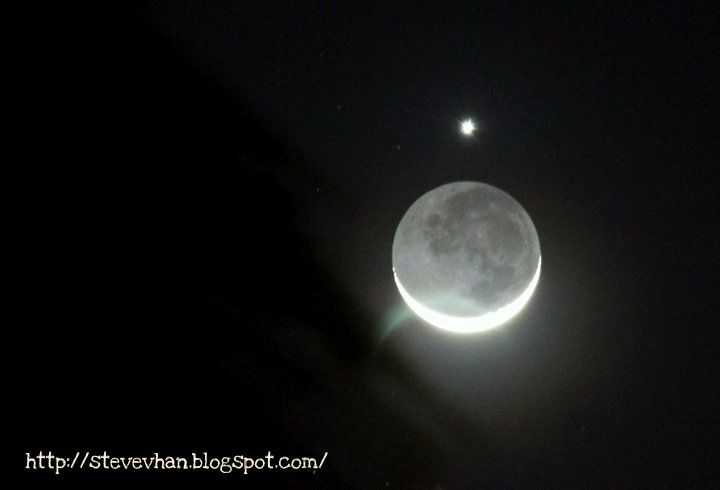 It was a great night looking at the moon and venus while feeling the rush of cold wind on your face. anyways, weird nga. pano ka naging Marilyn Monroe. hahaha. weeew ! Galing talaga ng wonder ng nature! Well venus is the r0man g0ddess of love i think it's just a sign for us people especially years have passed where we tend to be m0re selfish and forgot what we are in and for our country..we really have changed..